Credit Suisse has confirmed that it will be remaining as a major sponsor of the BMW Motorsport when the Munich car company takes over Sauber. Peter Sauber will be an advisor for Credit Suisse and will attend four races a year. The new deal will cover the 2006, 2007 and 2008 seasons. This is not a surprise as it is thought that the sponsorship was part of the deal agreed by which BMW took over the team. 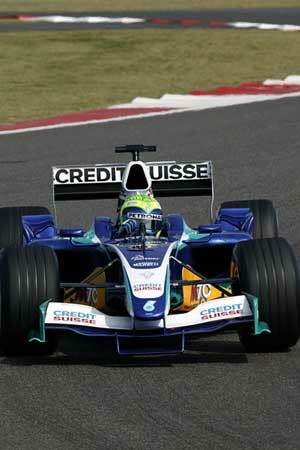 Credit Suisse previously owned 63.25% of the team, while Peter Sauber controlled all the voting shares. Peter Sauber will retain 20% of the team.